What?! a sock tutorial in july? Yes, because it's like autumn here in UK and also few of you asked me. So, here for you a free, nice and easy tutorial to make socks from the toe up. A couple of remarks first: I'm not a professional knitter so don't get too fussy if you find a little mistake or two. I knit in continental style. My hands are pretty un-kept, I have no time for manicure, therefore excuse the appearance of my hands which are hard working and also suffer for the very hard water we have here. This is a fun and easy way to make socks, don't get stressed and don't give up if you can't get it right at the first attempt. 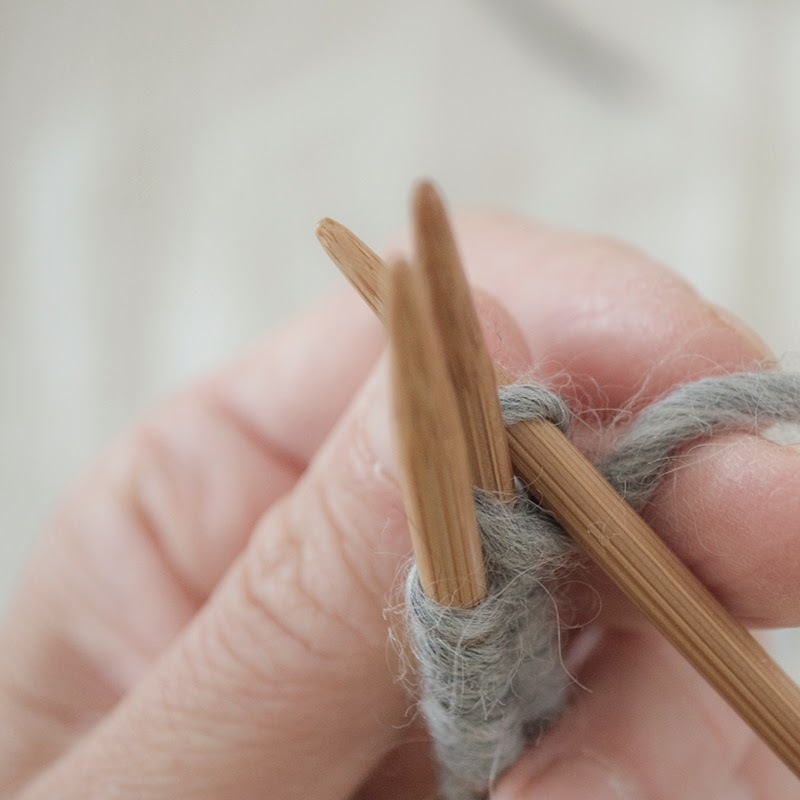 To make this tutorial I've used a chunky wool and 5 double pointed needles size 4.50mm, but you can use any kind of wool and needles according to the weight of the chosen wool. To obtain the exact measures required either you follow a pattern or you make your own swatch and then measure the stitches / cm (gauge). On my advice, in knitting (as in everything else) you have to use a bit of creativity, find ways around. 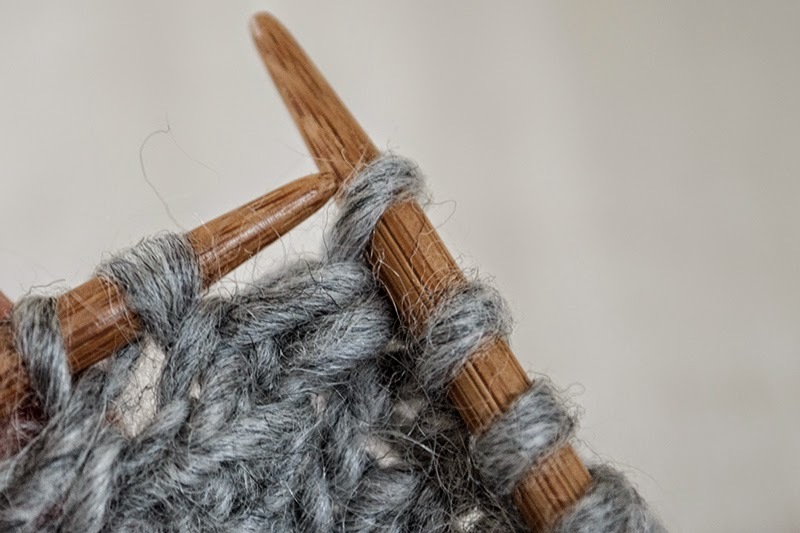 Sometimes is good not to stick to rules (often made by pedantic knitters or people), and most of all, don't worry about perfection, embrace the dark side of imperfection and you'll probably lead a perfectly imperfect happier life. I know, because I used to be a perfectionist and I totally hated it since I was never happy with the result. The pictures are aimed to help you, again, they are not perfect style, tone, focus etc wise. Also, it is bloody dark these days here despite the calendar says that it is summer. 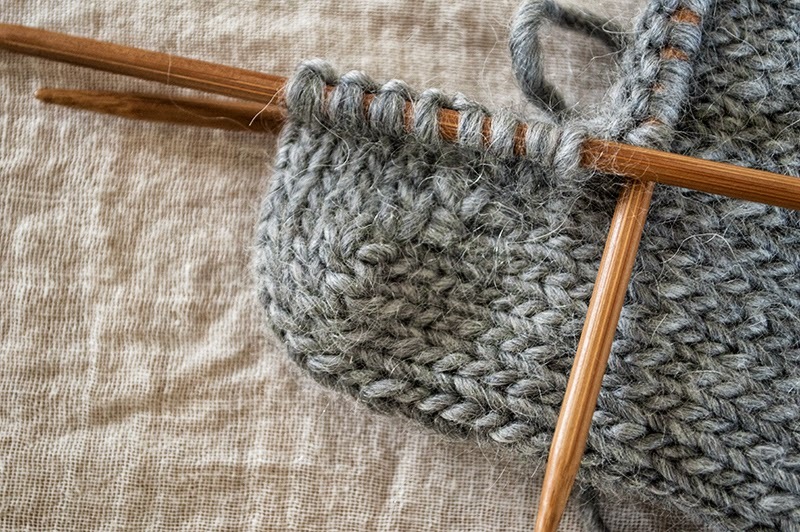 No more chit chat and let's get knitting. Five double pointed needles, marker, counter, wool of your choice ( check the label for needles size). 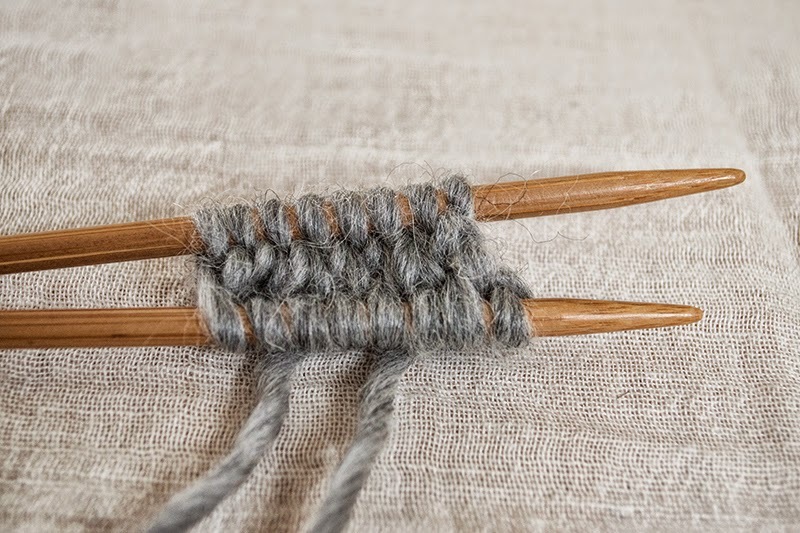 To cast on with 2 needles, leaving a little tail, start by passing the wool from needle 1 to needle 2, creating loops around each needle, keep them tight but not too tight (pic 1-2). First Row in SS (stocking stitching, basically knit all around). 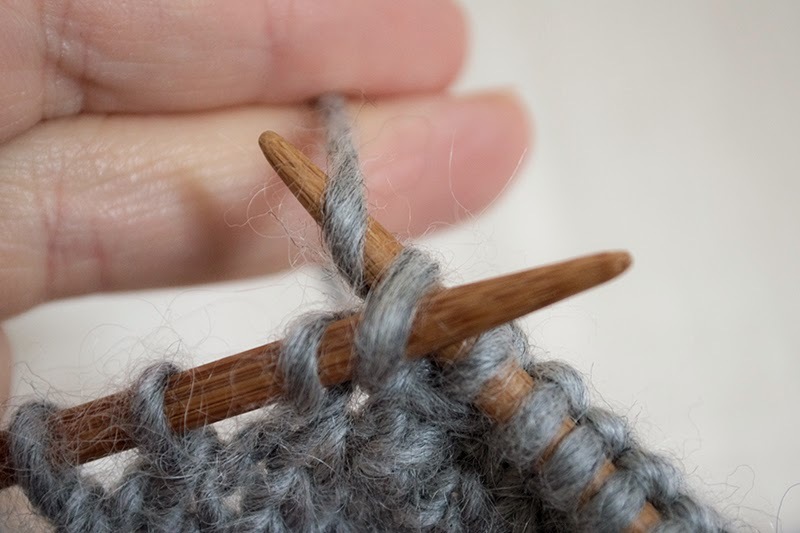 Knit by picking the back of the loop, in this way it's much easier to knit. 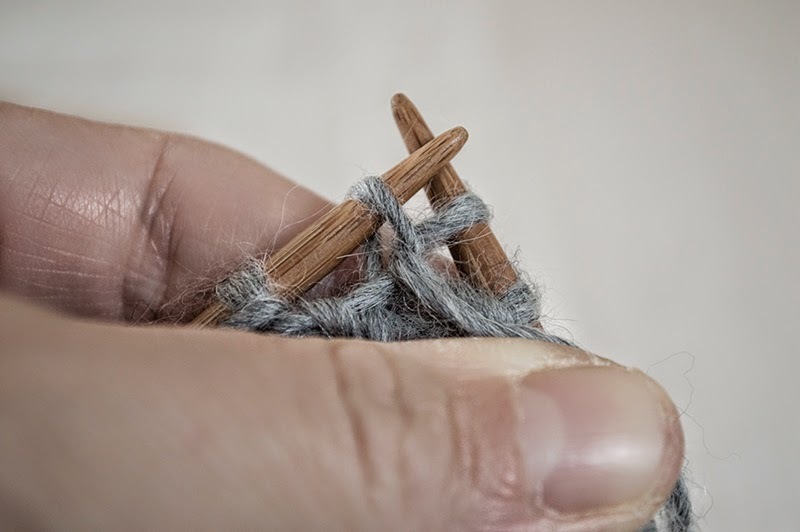 Another advantage by starting from the toes is that you don't need any sewing or grafting. 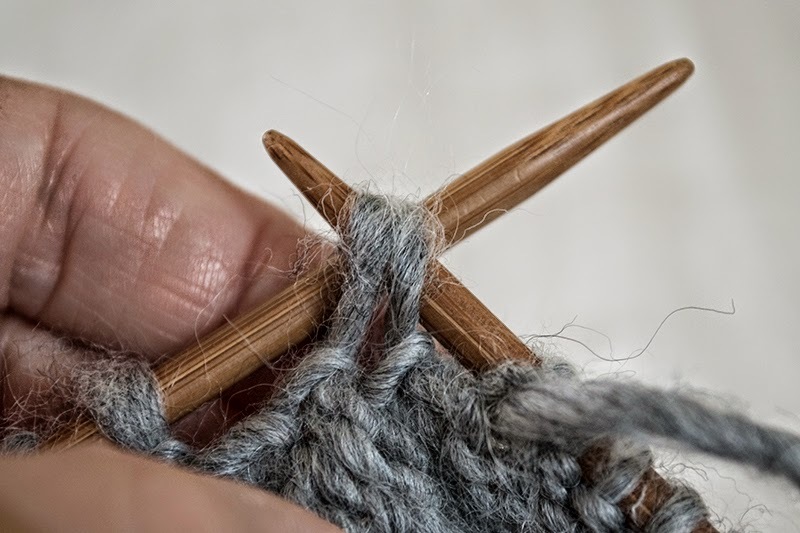 Knit all around until you reach the beginning, place a marker (to mark the beginning of each row). 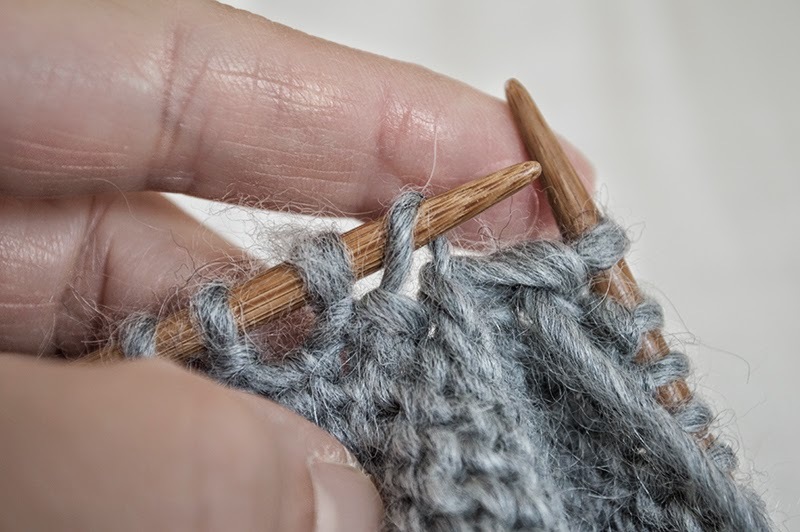 increase 1 stitch at the beginning and end of each alternate row to shape the toes. *This method is also known as bar increase, it is made by knitting into both front and back of the same stitch. Insert the right hand needle knit-wise into the stitch to be increased, wrap the yarn around clockwise and pull it through as if you were knitting that stitch, leave the stitch on the left hand needle (pic 4), insert the right hand needle into the back of the same stitch (pic5) on the left-hand needle, wrap the yarn clockwise around the needle and pull it through. slip the stitch from the left-hand needle, you now have two stitches on the right-hand needle. row2: knit 1, increase 1 on the next stitch, knit up to the last 2 stitches, increase 1, knit last one. 2nd needle increase as above. row 3 : K all around. Below two images of how to increase on the same stitch. These two rows set the increase for the toes shaping. Keep increasing in this way until you reach the number of stitches for the foot. (pic 7, if you look closely you can see those lovely bars on both sides). 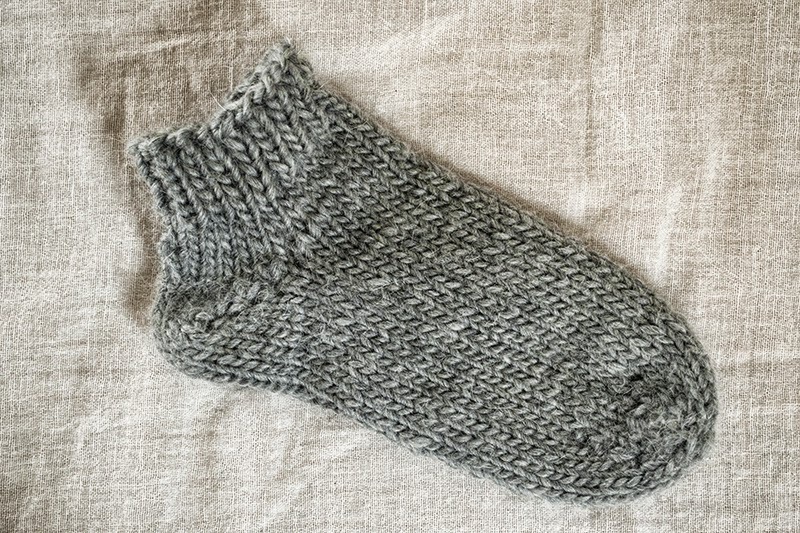 I did cast on 8+8 stitches and ended the toe shape with 16+16 sts. 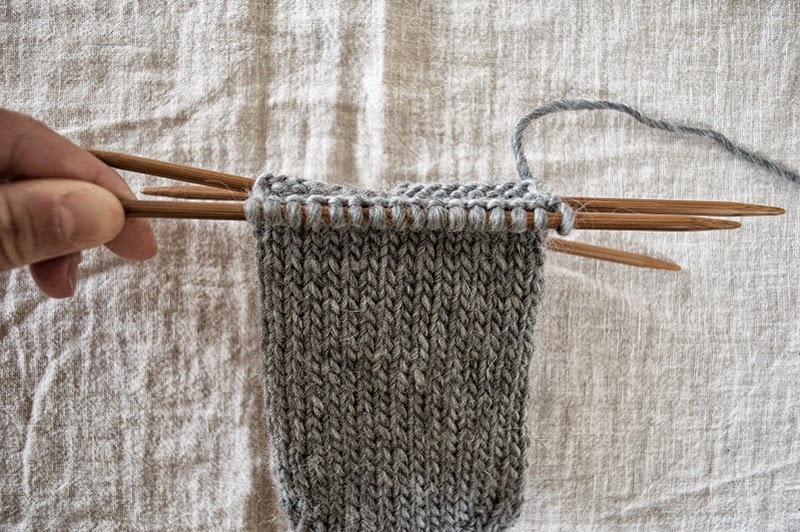 From the end of the toe shaping, start to count the rows before you turn the heel (also known as gusset). 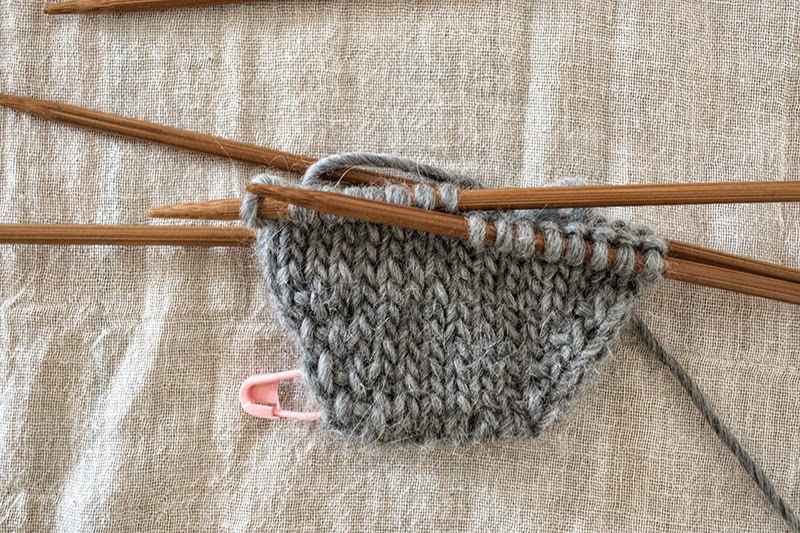 Write down that number so you know how many rows you knitted to make the exact number of rows in the second sock. This is the easiest method I found around (Priscilla Wild method). No counting, no holes, no wrapping yarn. 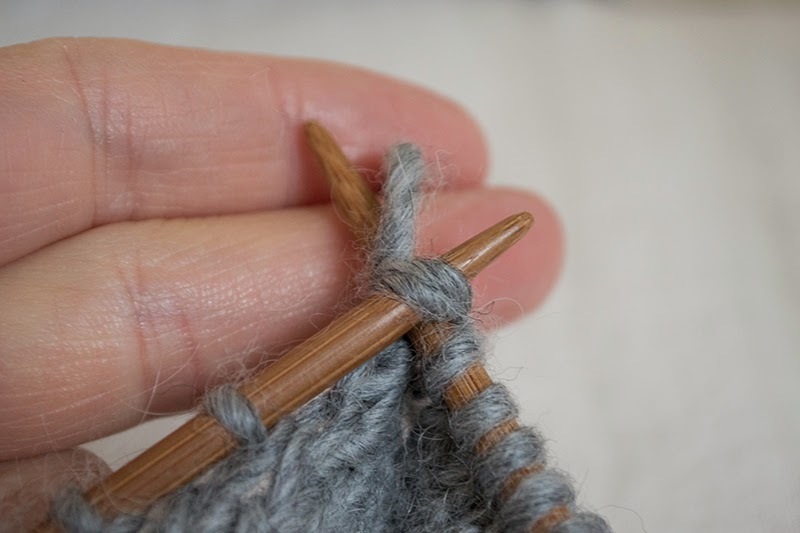 First, put half of the total stitches in one needle (slip the stitches on needles 4 into needle 3, leave the other two at the front until the heel is shaped and you'll start to work on the ankle). 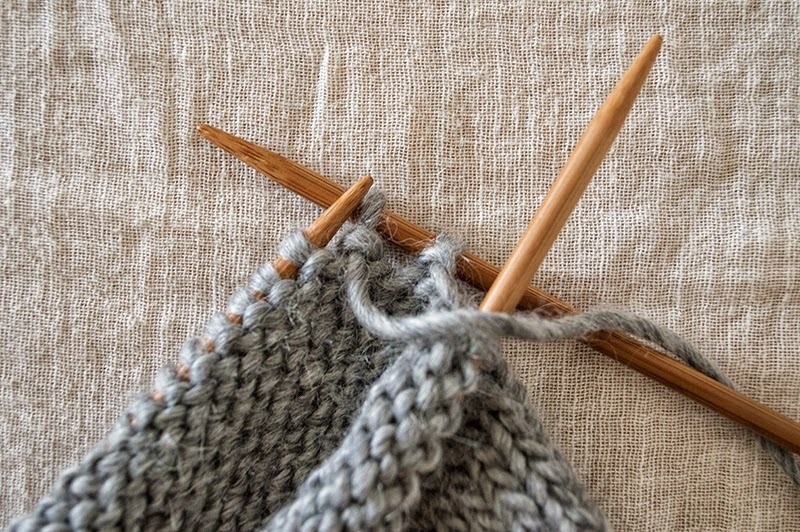 Row 1: slip the first stitch (always purl wise, slip means that you simply pass on that stitch on the needle without working it), then knit to one before the end (leaving that stitch on the left needle). 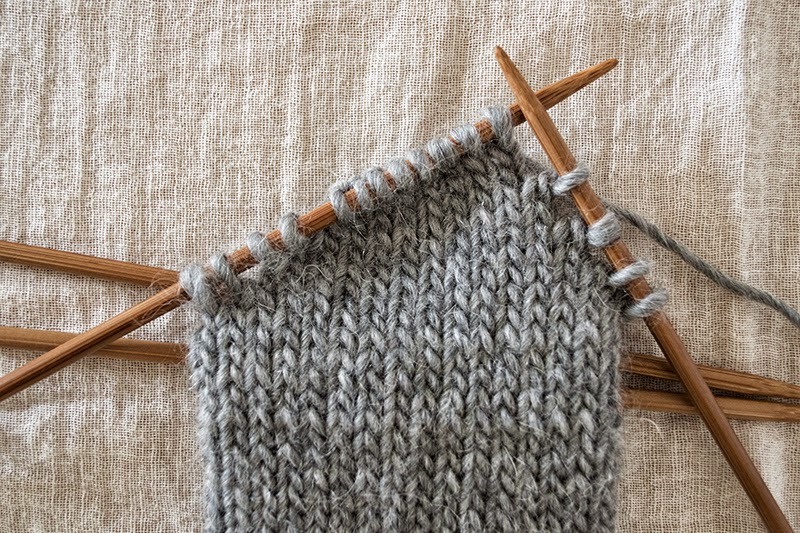 Row 3: slip the first stitch then knit to two before the end. 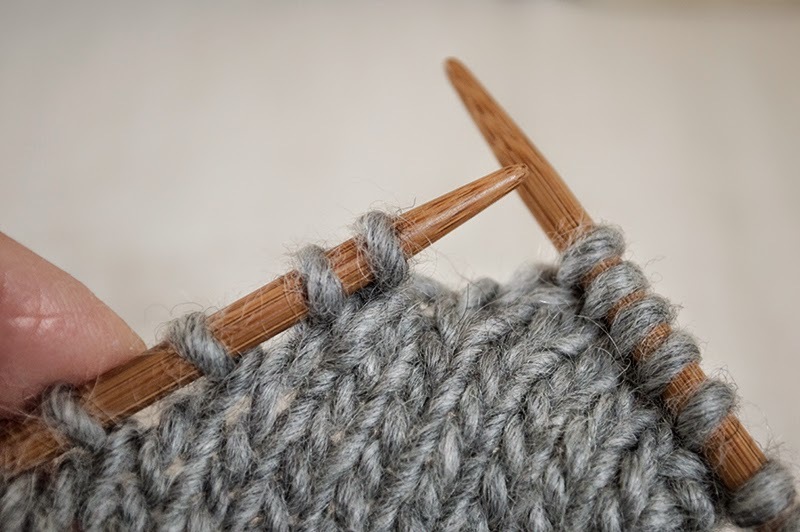 Row 4: slip the first stitch and then purl to two before the end. Then 3sts, 4sts ... until you have left at the centre the required stitches for the heel. (pic 8-9). You will noticed gaps between the stitches. I've left 8 stitches in the centre, these are called active sts, the other 4 stitches on each side are the side sts (pic 10). Now that you have decreased one stitch you need to make (increase) one stitch. 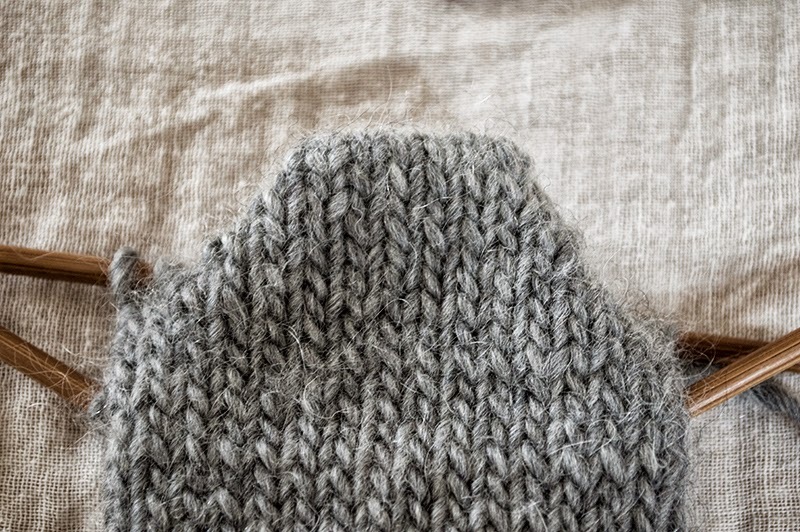 To make one (M1): lift the bar between the worked and unworked stitches, knit into the back of the lifted loop on the left hand, knit to make one new stitch. By twisting the bar you don't get holes. The horizontal bar between the stitches. 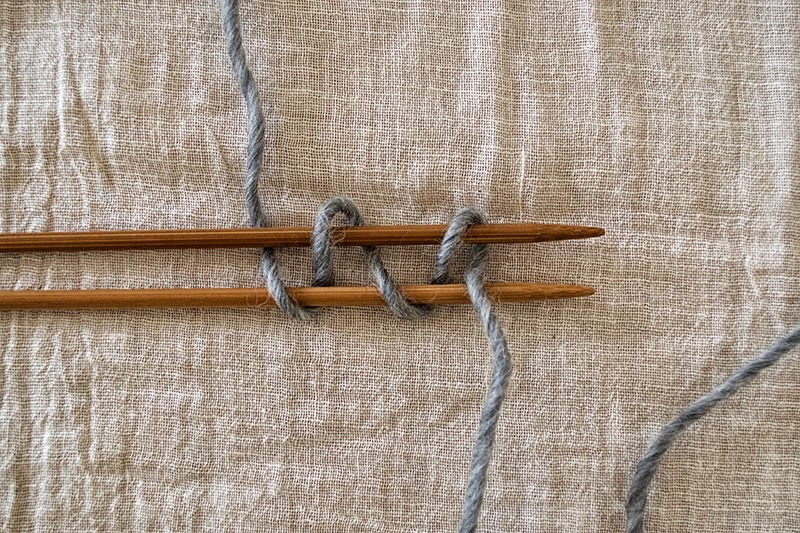 Picking up the bar, twist it and knit to make one stitch. Working purl-wise, slip first stitch, purl up to the last active stitch, purl together to the next side st, make 1. Keep working in this way until you have no side stitches left and you have again the same number of stitches of the upper half of the sock (in my case 16+16). Usually it ends with a knit-wise row. 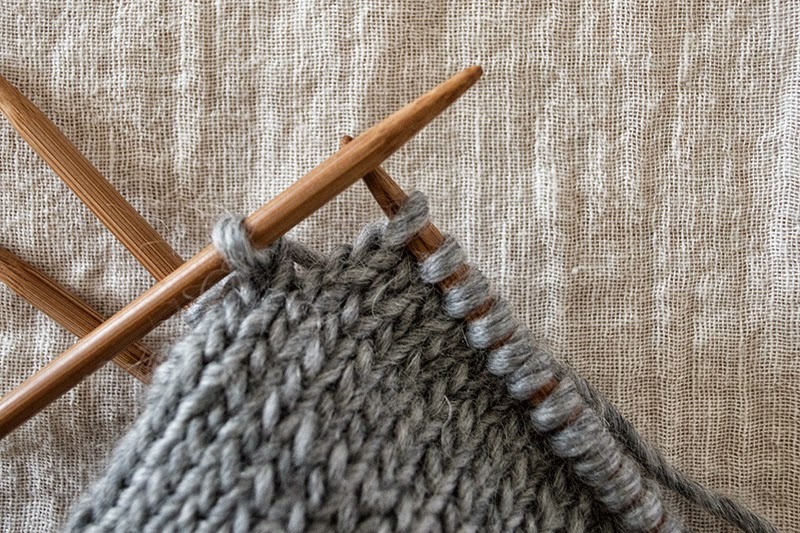 Once you are done, divide and place back the stitches on two needles (so to have two needles at the back and two at the front). The "worst part" is done you can now knit in rounds in stockinette stitch (SS) to work the ankle. Purl-wise, purl two together (last active, first side). 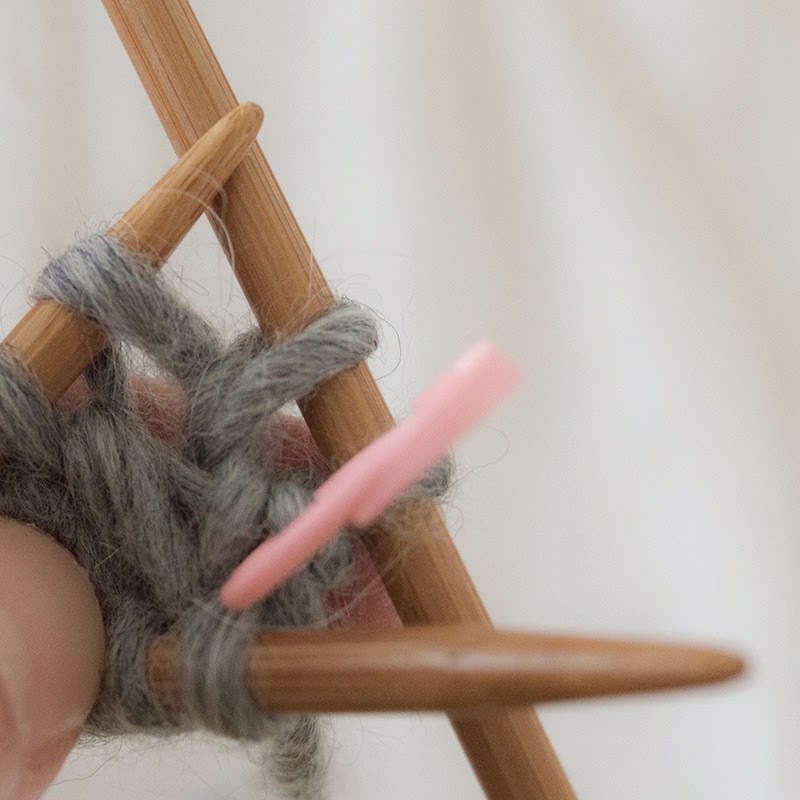 pick up the bar purl-wise to make 1. Look mama, no holes, no fuss! Keep working in SS (stockinette stitch, basically knit around), follow your pattern then cast off. I finished the last few rows K1 P1 to give a bit of elasticity to the border. 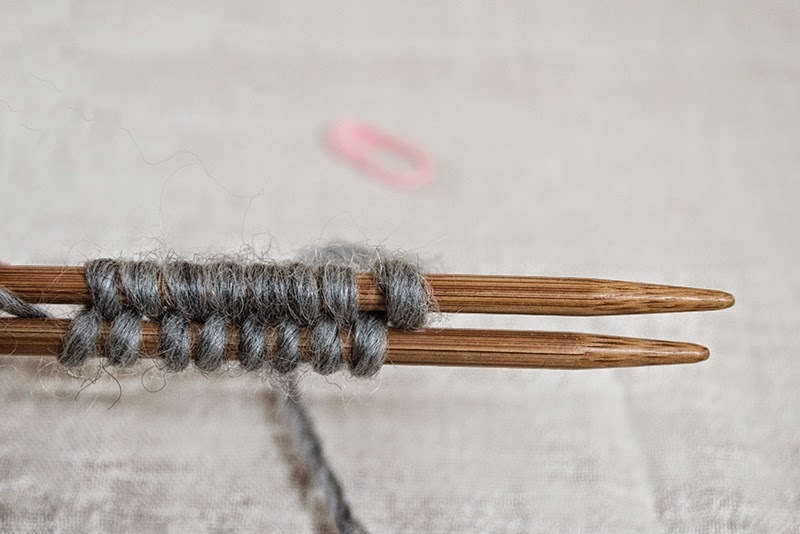 If you have made it till the end, give yourself a pat on the shoulder and remember to knit straight away the second sock. 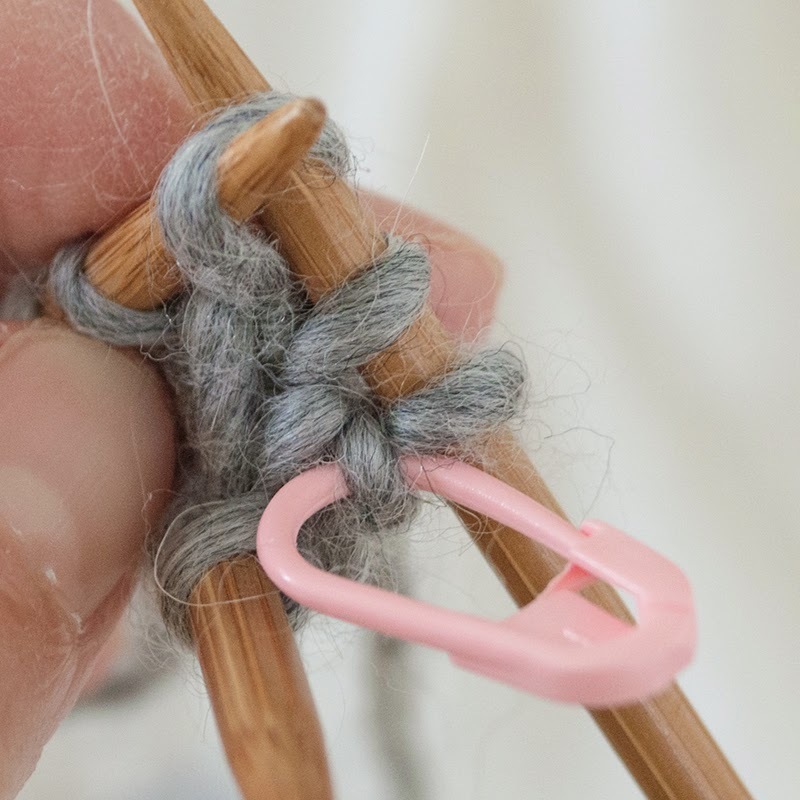 This method can also be worked with circular needles and you can knit two socks simultaneously, but I'm an old school lass and I prefer the good old five dbp needles. Would love to hear from you and have some feedback. hello nata, yes this method is pretty easy and straightforward, give it a try then. Thank you for the tutorial - very nice pictures and description. What was your gauge with the wool you used? Hello Cussot and thank you. 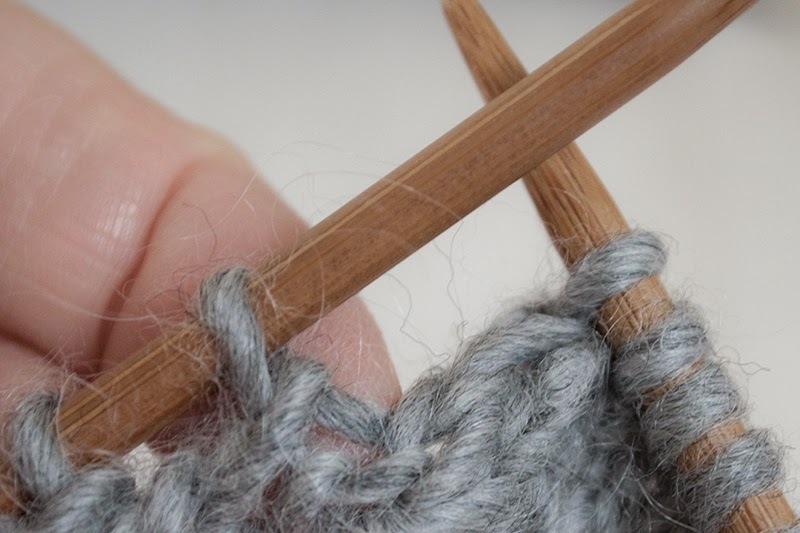 The gauge was 18sts for 10cm on a 12 ply wool using 4.50mm needles, which is a way to obtain a tight knitting. However for this kind of wool is recommended a 7mm size needles, but for bed socks I thought would be ok to size down. I recommend you to work out your own gauge-tension because this is just a generic tutorial and not a knitting pattern. Have a nice weekend. This is exactly what I need! I started knitting one sock months ago, I will switch to your tutorial, I am still a beginner in socks. Thank you! Thank you for the tutorial. I will try this out soon. I never thought I would like knitting socks but, it turns out that it can be quite a nice project. This one would go quite fast. 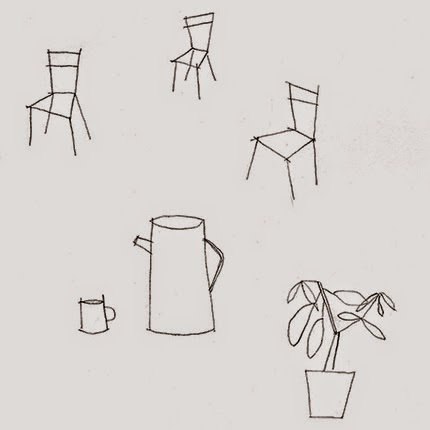 Oh I just discovered your wonderfull blog! Wauw it is perfect ! if i only could . . . they're perfect. Thank you! I have marked this tutorial and will definitely return. Lovely photographs.